​We might as well give out the Heisman Trophy now. Seriously, is there really any doubt as to who's going to win the award that this point? If you're thinking anyone other than Tua Tagovailoa, you're just flat-out wrong. ​Alabama's quarterback, unlike many of his peers, has only risen up in the Heisman watch. He seems to only get better as the weeks go by, and the stats prove it. His passer rating is miles ahead of any other college quarterback. ​​Experts in the media have taken notice as well, with Sports Illustrated ranking Tagovailoa first in the Heisman Trophy race. ​​The sophomore was also unanimously ranked No. 1 in the Heisman Watch among 34 writers and editors at The Athletic. ​​Tagovailoa was incredible in his latest outing against Arkansas as the ​Crimson Tide rolled to another dominating win on Saturday. The quarterback completed 10 of 13 passes for a staggering 334 yards and four touchdowns. He threw zero interceptions, and the four touchdowns tied a season-high for Tagovailoa. 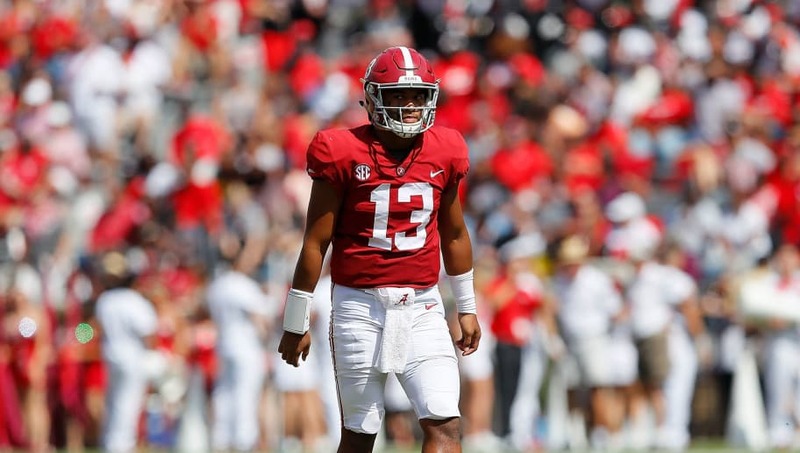 If Alabama continues to beat up all its opponents in similar fashion with its star quarterback putting on stellar performances, there's no way to deny Tagovailoa the most coveted individual award in college football.